Click above logo to access website if you are unable to access this newsletter. Join me for a rare website inventory reduction sale of patterns and kits to celebrate the holidays and make room for new merchandise. 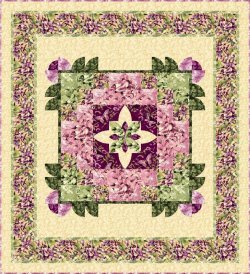 Patterns $1.00 - $5.00 off of the regular price, Kits 15% - 35% off. This is a great opportunity to find unique holiday gifts for quilters in your life or to create a quilt for someone your love. or offer a trunk show at your guild. 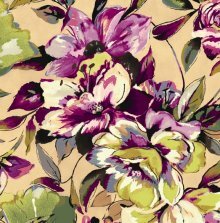 Many of you may already be aware that I had my debut line of fabrics, Love Flows, with Maywood Studio in October, 2012. I couldn't think of a better name since it's the tag line on every quilt pattern I create. A quilt not only warms the heart with beauty, it warms the body and whispers of love in every touch. I have the entire collection of fabrics, many new beautiful pattern designs and kits available in the shop. Blooming Hues is one of the most recent designs and a celebration of summer. It is simply stunning. By the way, I have listened and this new design is available in both queen and king sizes. Be sure to check out the shop for more of the Love Flows designs and the complete line of fabrics. If this newsletter was forwarded to you and you love the news, click on my home page and sign up for a direct notifications to your inbox. I will never share my list. I consider it a privilege that you wish to stay in touch.